Benign prostatic hyperplasia (BPH) is a non-cancerous enlargement of the prostate. As the prostate enlarges, it can squeeze down on your urethra, causing the bladder wall to become thicker. This enlargement obstructs the flow of urine and causes symptoms including an intermittent and weak urine stream, straining to urinate, incomplete bladder emptying, sudden uncontrollable urges to urinate and increased urinary frequency. Past studies have shown that certain foods can not only increase your risk but can also worsen the symptoms of BPH and other prostate issues. The foods listed below are those that should be avoided. The medical community recommends that anyone with BPH symptoms avoid saturated fats and trans-fats. Although, they cannot say why it happens, it’s clear that the consumption of red meat can be adverse to your prostate health. The better choice would be to substitute red meat with monounsaturated fats, more lean meats and fish in your diet. Limit or stop your consumption of red meat all together. 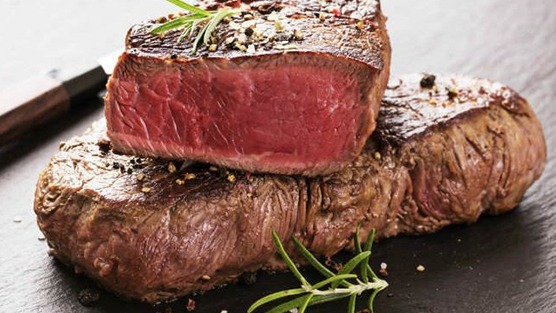 It should be noted that there is also a correlation between red meat and prostate cancer. Dairy foods are typically high in saturated fats and are adverse towards maintaining great prostate health. As such, a low fat diet is a recommended as a way in helping to relieve BPH symptoms. While dairy products are an excellent source of calcium, there are other healthier food alternatives available to get the recommended daily amount of calcium including: Salmon, Almonds, Collard greens, Spinach, Turnip greens and tofu. Avoiding or limiting your caffeine intake including coffee, tea and carbonated drinks can make a big difference to your urinary health. Caffeine has a diuretic effect, which means it increases your urge to urinate. Because it can be difficult for men with an enlarged prostate to empty their bladders completely, drinking these beverages, especially late at night, can irritate the bladder and increase the need to urinate. Spicy and acidic foods can irritate the bladder and prostate in some men causing urinary symptoms associated with BPH. Foods such as curries, chilli and hot sauces can improve the taste of your meal but if you notice more problems after eating such spicy or acidic foods, then you’re among those men that should avoid that cuisine altogether. Alcohol acts as an irritant in both the bladder and prostate, resulting in the need to frequently urinate. There is, however, some evidence to suggest that moderate alcohol consumption can help in reducing the risk of BPH, but the key word here is moderation! Alcohol is a diuretic. It increases the amount of urine that builds up inside the bladder. A proper diet clearly plays a major role in maintaining good prostate health. It’s important to pay close attention to how your prostate responds after you’ve eaten certain foods or drinks. Avoiding known triggers and choosing to eat a more balanced healthier diet could be the key to maintaining better prostate health.